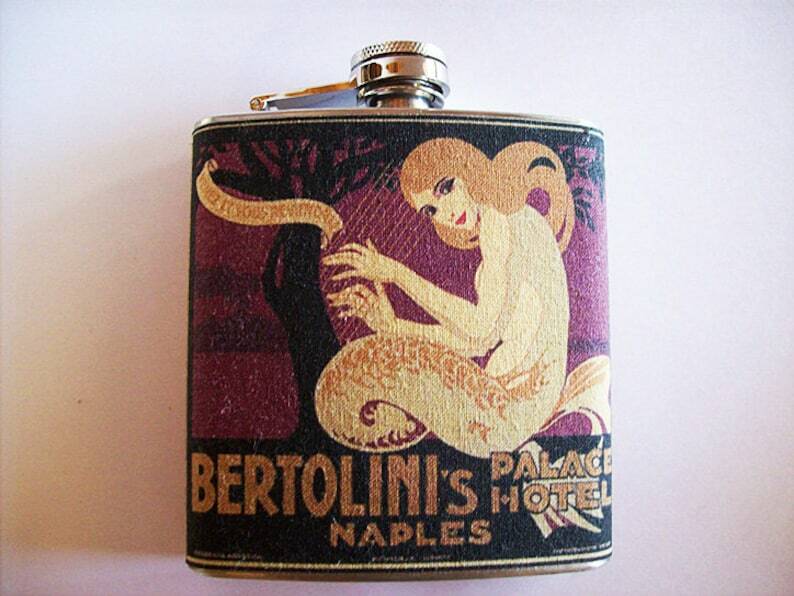 Bring a little vintage nautical kitsch to the party with my retro mermaid 6 OZ flask featuring two pin up images taken from 1950s luggage labels. A little rockabilly kitsch can make your day much better! I make these with a brand new 6 oz stainless steel flask. I start by transferring the image onto lightweight canvas. I then apply 3 coats of scotch guard and adhere the canvas to the flask. The final result is a water and stain resistant product that will hold many a drink for your travels. I do make these to order so it may be a few days after purchase before I can ship.